When I edit "default_partner_content.json" opera back error: ".pak file was broken". In previos versions (31.0.1889.50 and older) all ok, and in Opera Developer (32.0.1926.0) too ok.
Yep, they fixed the bug that allowed the file to be edited. When Opera Next will update to 32.**** ? After Opera Stable has been updated to 31 and Opera developer to 33. And all of them will have the fix, most probably. How can I change letter shortcut for default searche engine? You can sell me to the localized version of booking.com or whatever other 'partner', OK. But forcing me to use a non-English Wikipedia (or a search key other than 'w') is just stupid. Just posted about this in the Opera for Windows section. That's it then? That's how it will be? That's it then? That's how it will be? There has got to be a change to this. Opera, it's ok if you leave the default partners, but you cannot force the keyword for them. Otherwise we'll just stop using Opera altogether. Editing the json file was a hassle, but we got by. But now this?!?! Yet another nail in the coffin, not long till I say good bye to Opera. This issue also makes me wonder. I must have been using opera for about 15 years now and even the transition from 12 to 2x was rough and i delayed it for as long as humanly possible. When you got used to some of the old features, it is really hard to use the new opera kit (all i gotta say are bookmarks..). When i first discovered the default search engine short key issue(y for yahoo and w for localized wikipedia), i was about to switch to another browser, but could accept the "default_partner_content.json fix". I still hope, they will revert their decision about this whole problem. But i can guarantee you, that i won't be forced to use yahoo, even when it means "goodbye opera" after over 15 years. I'm no more able to use "s" for my favorite search engine (json no more editable). Thank you, Opera team, for 14 years of good internet browsing. Now is time to say goodbye. Opera Next-Beta was updated to 32.0.1948.4, aaaand default_partner_content.json blocked! If in "Program Files" - modified - reading from "Users" - if there modified too, then message: "CORRUPT!" PS passwords in wand can be lost. Rename or delete all folders in "C:\Program Files (x86)\Opera Next" what name starts with "3*. ", rename to "_3. *"
Extract archive in new folder with name "30.0.1835.49"
In "\Opera Next" delete file: "launcher.exe"
Move "launcher.exe" from "\Opera Next\30.0.1835.49" to "\Opera Next"
In "\Opera Next\30.0.1835.49" delete next files: "opera_autoupdate.exe", "installer.exe"
Open "installation_status.xml" in "\Opera Next" as .txt and replace all versions "3*. ****" to "30.0.1835.49" and save. Modify "\Opera Next\30.0.1835.49\resources\default_partner_content.json" as you want! If you have problem with OLD TABS loading, do this: open tab, click in addr field, press enter. When i updated from 12 to somewhat 25-27 i did it for the whole purpose to receive updates again. Shall i forever be stuck on 30 now (which compared to 12 still lacks fundamental content)? With the defaultpartnercontent.json changes they confirmed my fears, that they wanna stick with their default search mentality. 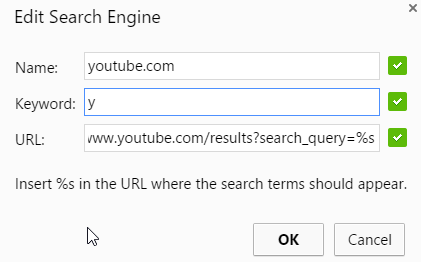 I have used "y" for my youtube search since ... well probably since youtube existed (or opera introduced the search engine feature). And now i must change my search hotkeys, cause opera tells me "No, y is for our sponsored yahoo partner" (which i never ever use). I could overview the lack of proper bookmark management (found an addon for that) or a missing proper "recently closed tabs button" and just so many other features, that made opera great and a nice niche pick for a browser. I think i gonna switch to firefox for good now, it just makes me sad what this once awesome browser has become to. 15 great years and such a miserable end is just inapprehensible..